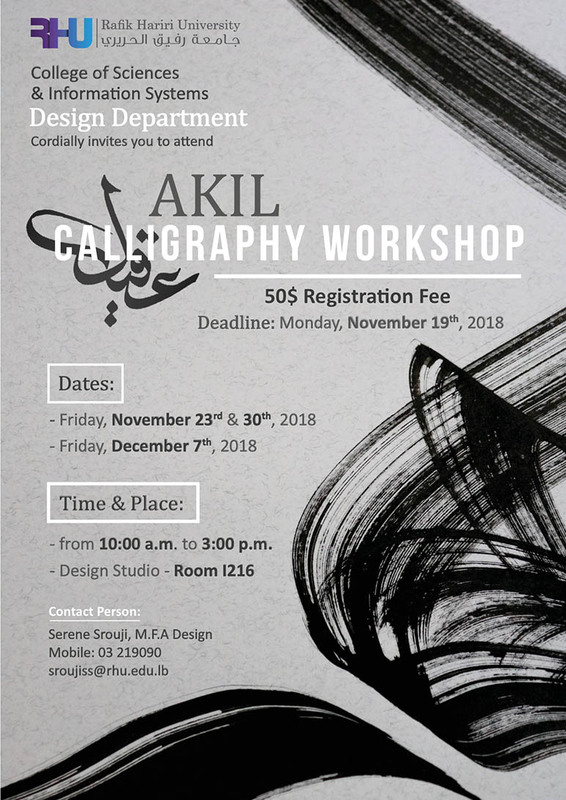 RHU College of Sciences and Information Systems , Design Department, and Design Society are hosting a 3-day Calligraphy Workshop with calligrapher and visual artist Mr. Ahmad Akeel. Mr. Akeel will be guiding the participants through the basics of Arabic calligraphy and writing styles, and training them on letters and line writing, including Diwani and Patch lines and Typography. Registration Deadline is Monday, November 19, 2018. Registration Fees for all sessions is 50$/person.